This is the most beautiful design chair in our collection! The Classic Panton Chair was designed by Verner Panton in 1960. This modern chair is a classic icon of mid century modern furniture design. 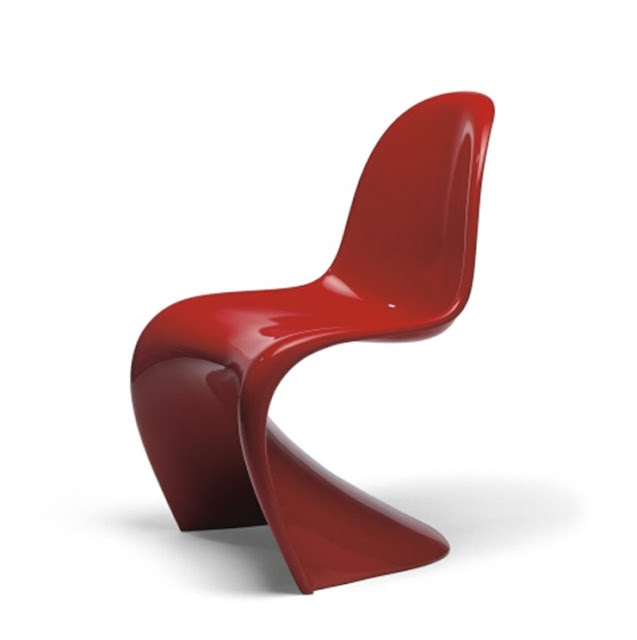 The Panton Chair is a brilliant masterpiece which combines grace with functionality. The Vitra Classic Panton Chair by Verner Panton is comfortable, practical, and beautiful to look at. Its gentle curves give it a very inviting appearance. The Classic Panton Chair offers great seating comfort, it is a truly comfortable modern chair suitable for businesses and homes. The Classic Panton Chair has won various design prizes world-wide and graces the collections of numerous renowned museums including the MoMA in New York. Its expressive shape makes it a timeless 20th-century modern design icon. The Classic Panton Chair is made of rigid expanded plastic and has a high gloss lacquered surface. This quality sets it apart from any other edition. Verner Panton's signature is prominently displayed on the base of the chair.